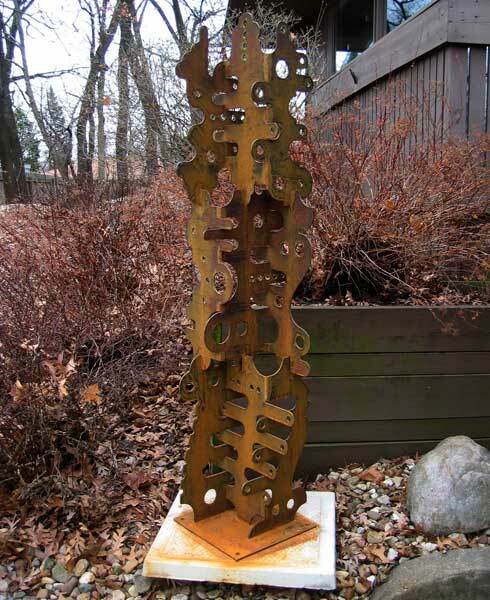 Up and Down is made from 10 gauge steel with a 1/4" steel base. It is a little less than 6 feet tall. The base is 16" square. It is welded construction. The steel was rusted when it was first made but in 2007 it was sand blasted, then painted bright red.